Here is a synopsis of a regularly occurring sequence of events in my brain. Oh look, some new uploads from my flickr contacts. Wow, I like that quilt, click. What else has Tia made lately? Click, click, click Oooo, that one is fabulous! Hey, there's a picture of her with Gwen Marston! At retreat! She's so lucky! 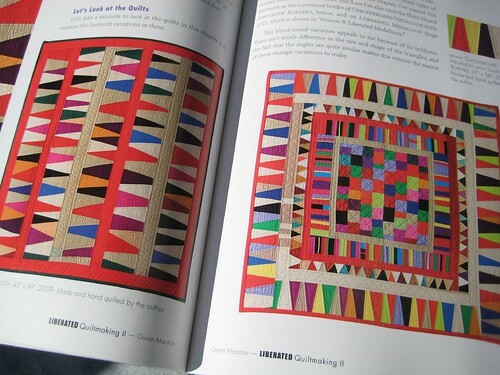 Hmmm, I really should buy Gwen's second book, because I loved reading Liberated Quiltmaking from my guild library a few years ago. 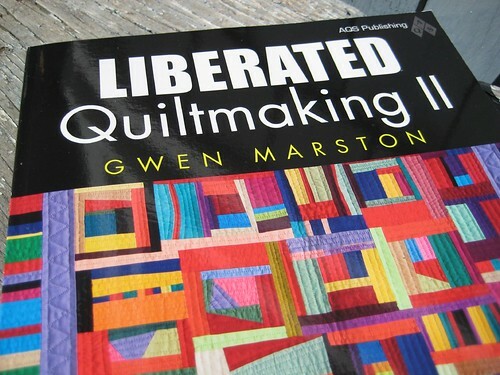 Ah there it is: Liberated Quiltmaking II, click: add to cart. 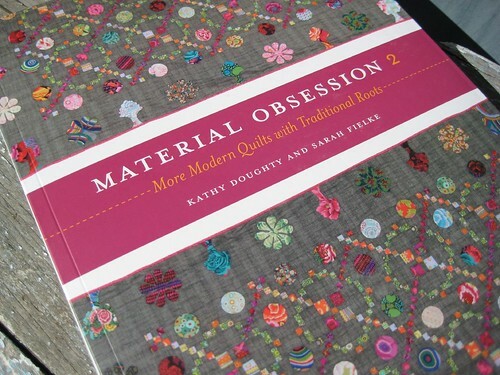 Oh look, someone else who bought Liberated Quiltmaking II also bought Material Obsession II. I need that book. I mean, look at the cover quilt. It's to die for! Click: add to cart. 3. Today, on the back deck. Oh, happy day. 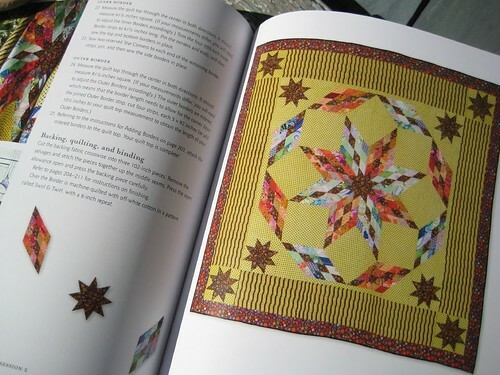 I love the quilt books. I love sun in September. I love impulse purchases that make me happy. 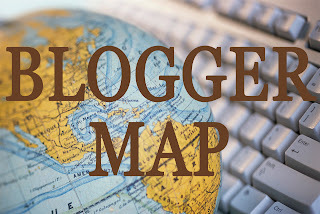 Do you have Quilter's Brain, too? It is an incurable condition that I will gladly endure for the rest of my life (or until my bank account runs dry). Totally incurable and addictive too!! Love the clicking myself. Mmmhhm. Fabric and books on the way as I type. My library and stash are testament to the fact that I do indeed have a quilters brain!! Can hardly wait to see your brainy purchases up close and personal!! I know exactly what you mean! But, you need all the inspiration you can get, you know....right???? That's my story and I'm sticking to it! I completely understand. ESPECIALLY the part about sun in September. Yes my brain works that way too! 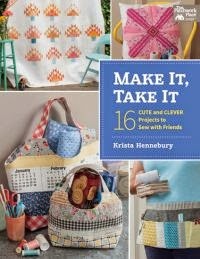 And I made a quilt just like that one on the front of Material Obsessions- I even featured on her blog! It was a great quilt to make! ENJOY! Very tempting. I had better keep my clicks to Interlibrary Loan though! You make me smile! This sounds so familiar! 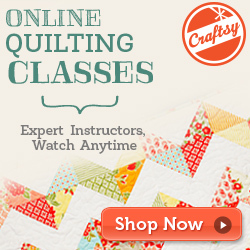 I definitely have a Quilter’s Brain! Krista! My mind is totally on the same wavelength as yours! I check my flickr friends all the time! Hahahaha! Don't you LOVE MO2? I like it sooooo much better than the first one. As a matter of fact I have it out and was looking through it trying to figure out what to do with my FMF fabric. Of course you can't go wrong with Gwen, now can you? Ooooh... 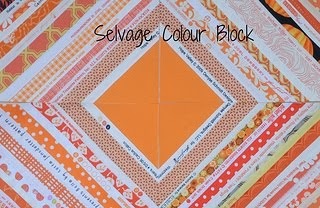 I have been eyeing up Material Obsession 2....but never seem to make quilts from a pattern anyhow, just from the Flikr-finger inspiration (I seem to follow the same pattern as you! ).